We’re starting to see finishes! 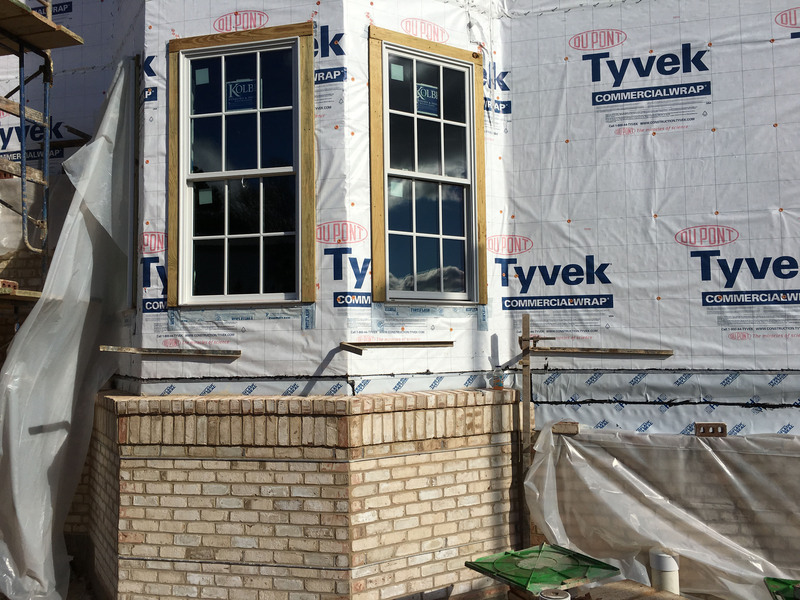 The bricks started going up last week, and should progress quickly. 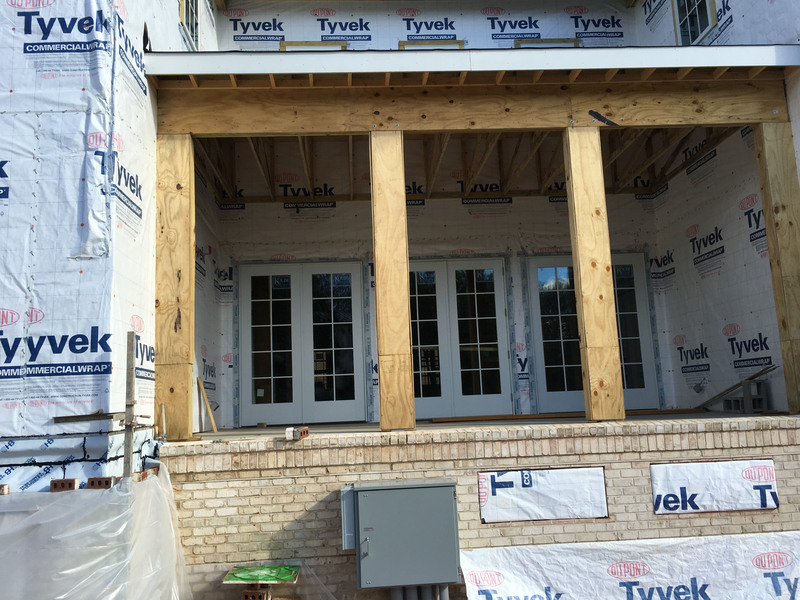 The loggia’s French doors, rough columns, and brick work. 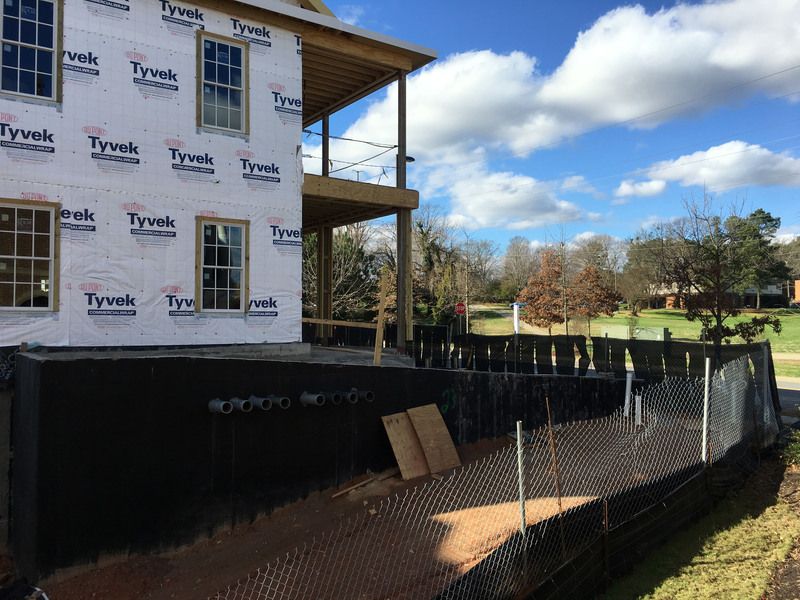 The new house on Greek Village Drive, looking toward the current Delta Gamma house. 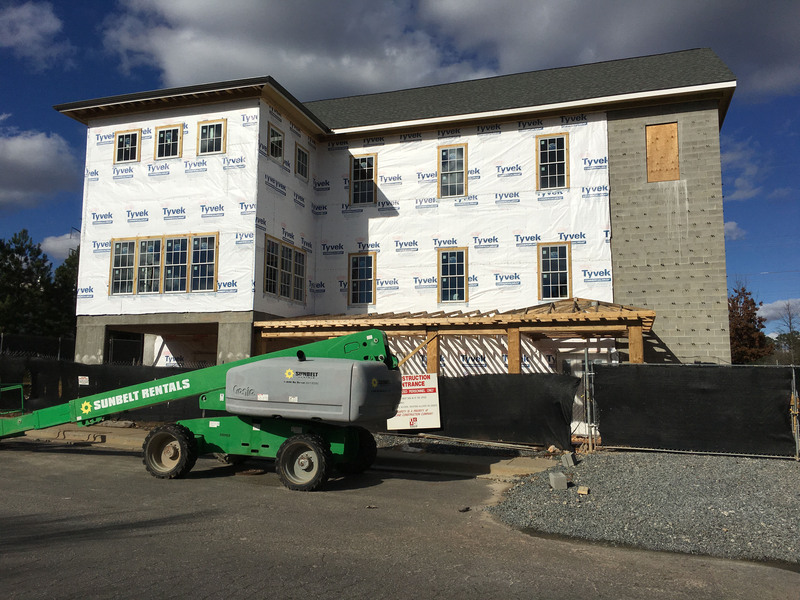 The front porches as seen from our next-door neighbor, Kappa Delta. 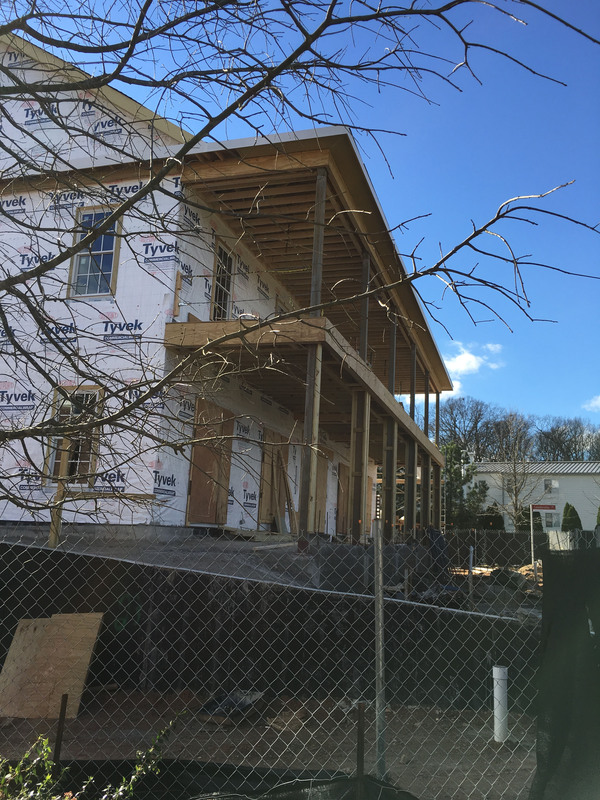 The rear porch is taking shape.